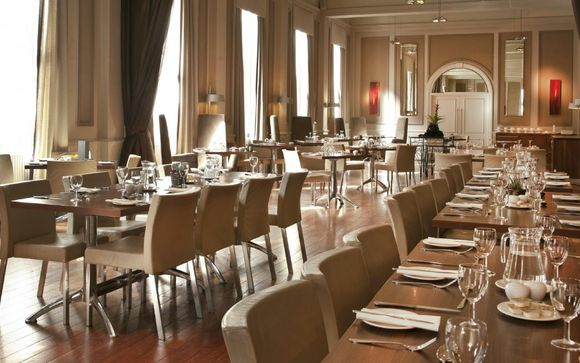 With its classic contemporary bar and restaurant offering locally sourced ingredients The Met Leeds is the epitome of a stylish city break...all housed within a Grade II listed building with some fantastically beautiful features. 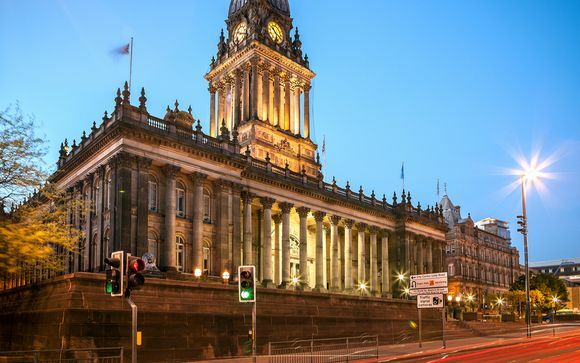 Ideally located just minutes from Leeds city centre, the hotel provides a great base to explore shops, restaurants and popular attractions within the bustling city. Leeds boasts a rich array of local history, great shopping and entertainment - perfect for a city break close to home. Rich local history, world-class sports, fantastic shopping and diverse year-round entertainment are just some of the things that make Leeds such a great place for everyone to enjoy. Leeds offers unrivalled visitor attractions and experiences, from jousting at the Royal Armouries, to the stunning surroundings of Harewood House and the outstanding collections at Leeds' many galleries and museums. Situated at the heart of the UK, Leeds is perfectly placed for travelling to and from, and is the gateway to the Yorkshire Dales. Leeds also boasts a thriving international airport and has one of the busiest train stations outside the capital. 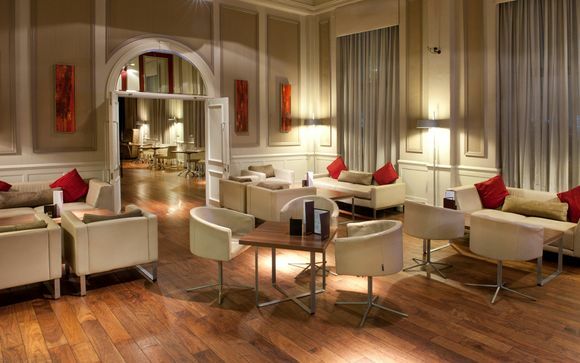 This luxury Grade II listed hotel is unrivalled within Leeds for its warmth, character, and location. This iconic property with ornate terracotta architecture is positioned just a short walk from many of the city’s finest shops, bars and restaurants, and attractions, including Trinity Shopping Centre and the Leeds Arena. - Single, Double or Twin Guest Room (15m² / max. 2 persons): This hotel is brimming with contemporary style and modern amenities throughout making these rooms perfect for those in need of a little bit of luxury. - Double or Twin Superior Room (25m² / max. 2 persons): These stylish rooms are even more spacious then a guest room with a separate seating area so you can spread out and unwind. A welcome addition to King Street, Tempus Restaurant & Bar serves up indulgent meals that draw of locally sourced products. Hearty meals are served up in grand rooms where the delicate Victorian decor is perfectly complimented by striking, modern furniture and large mirrors pour even more light into these light-filled rooms. Your hotel is approximately 3min / 210m from Leeds Station.